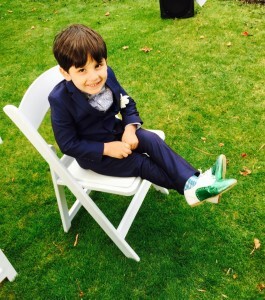 When my sister was getting married I was given the task to design bespoke shoes for the pageboys that would be a colour of the parents choice and compliment their suits and each other. Being at the wedding and seeing the shoes in action all day and night reaffirmed all I have worked very hard for. The boys spent all day in the shoes standing, sitting, dancing and playing and the shoes did their job in looking good, being comfortable and worthy of being treasured. 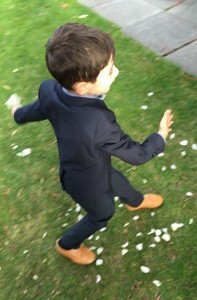 Drapers Kids Brand of the Year..